Gillig Winery, 1720 Northridge Rd. Join us every 3rd Thursday of the month for Paint and Partake Wine Flight Night! Four wine tastings plus appetizers, art materials and all the fun you can imagine will be provided. Registration is required & space is limited to 24 partakers. Register now to hold your seat! Must be 21 to partake Please indicate what month you wish to attend during checkout. 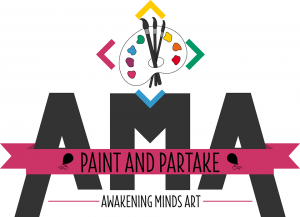 All proceeds benefit Awakening Minds Art.